Accedian (Performance Vision) was placed in the Gartner 2018 Magic Quadrant for Network Performance Monitoring & Diagnostics (NPMD) for the first time, reflecting our strategy to become the first monitoring vendor with full stack, active and passive test unified by analytics. 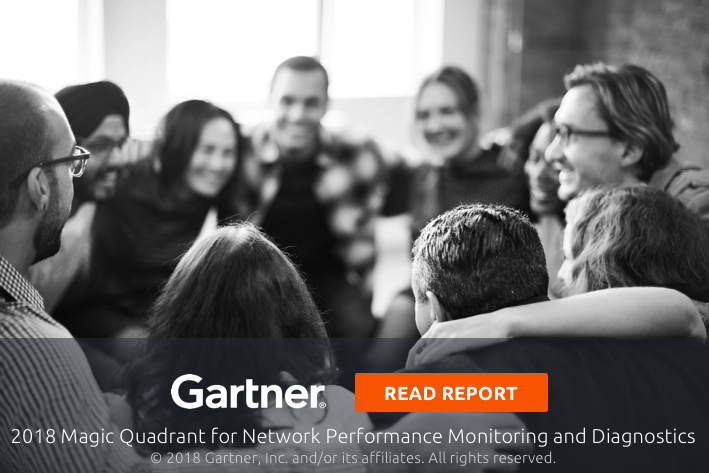 We consider our recognition in Gartner’s Magic Quadrant for Network Performance Monitoring and Diagnostics as confirmation of our mission to provide enhanced end-to-end network, application and end-user experience visibility for both enterprises and communication service providers. This is also a clear testament to the value that our recent acquisition of Performance Vision can deliver to both our existing and future customers. SkyLIGHT PVX offers a new approach to NPM / APM with exceptional ease of use and universal coverage over physical, virtual, and SDN infrastructure, complemented by real-time transaction-level visibility into the real-user experience. In the context of the Magic Quadrant, and key industry trends, we believe SkyLIGHT PVX’s focus on monitoring SDN, cloud,and virtual infrastructure is a differentiator, along with its reduced deployment and maintenance complexity. More exciting than the Magic Quadrant inclusion is our bright future in this space. Accedian strengthens the Performance Vision team by bringing an increase in development resources, a global sales and support team, analytics expertise, and a broad customer base. We expect to make great strides in this space and aim for a visionary position in next year’s report.